Operation requires 1 dedicated 110/20 amp outlet. The Zoo combo is a great addition to any party! 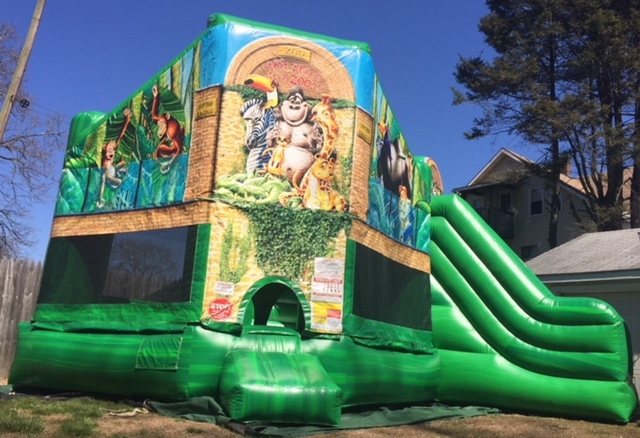 The Zoo combo has an open top and very roomy Bounce area where the kids can bounce the day away. Connected to the bounce area the Zoo provides a fun filled tunnel which leads to a climbing wall to its Zoo slide!